As I sit on the boat, the landscapes floating by, I think how nice it is to see a World Heritage Site this way. My journey through Germany to see all of the country’s UNESCO sites has been enjoyable but it’s involved a lot of walking, a lot of interiors of buildings, and a lot of active discovery. Now, finally, I have a chance just to sit back and watch one reveal itself before my eyes. This is the Rhine River – one of Europe’s grand waterways that winds its path through six different countries. Just one little section of 65 kilometres in Germany, where I currently am, has been included on the World Heritage List. 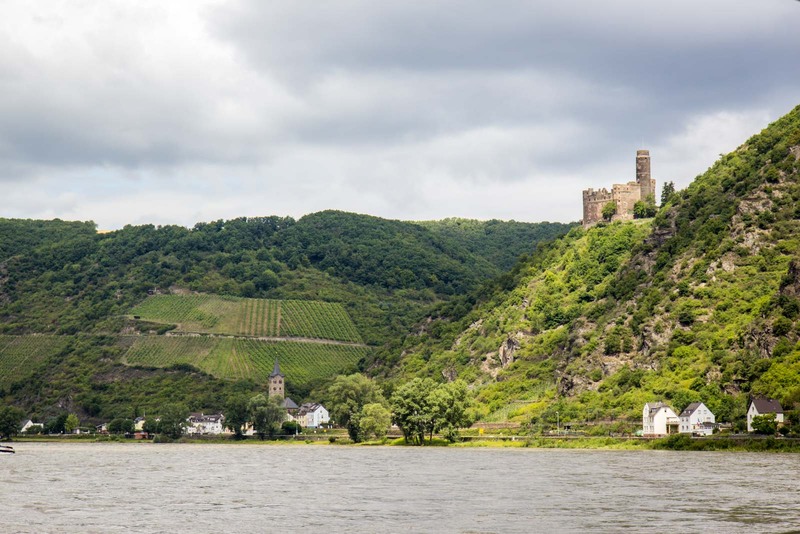 This is called the Upper Middle Rhine Valley and the significance goes beyond the picturesque natural landscapes. The small towns along the banks may look like quaint fairytale settlements, but they are representative of the enormous amount of trade that has flowed up and down this river for thousands of years. 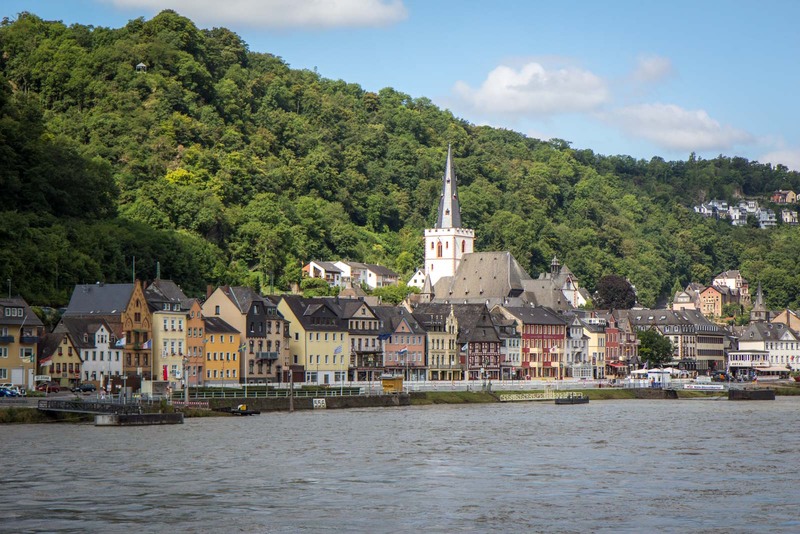 This stretch of the Rhine connects the broad floodplain of the Oberrheingraben with the lowland basin of the Lower Rhine and there are at least sixty towns just on this 65 kilometre stretch that have emerged over the years to support the transportation industry. Castles perched on the slightly higher ground look down at me as I float past as they have watched for centuries for potential attackers. Around them on the hills are the terraced vineyards that the people in this region maintained as one of their main sources of income – there were plenty of boats to carry their wares and plenty of sailors to drink what couldn’t be transported. It’s no surprise that artists and poets have been inspired over the centuries by the natural beauty and the charming human settlements nestled within it. With every turn around the river, another vista presents itself. The spires of churches, the rows of waterfront houses, and the fortresses above all blend together so perfectly to create images that cry out to be captured on canvas or in words. 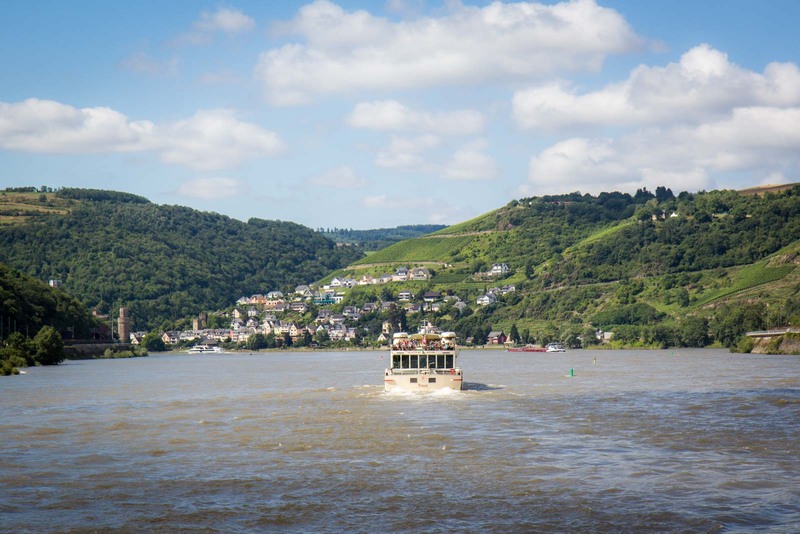 There are many different way to see this section of the Rhine River. It’s possible cycle along paths near the bank, drive through the little towns, or catch buses and trains between the different hubs. However, travelling down the river is one of the most authentic and scenic ways to approach a visit. I cruised for the day with a KD ship, which gave me the flexibility to get on and off and different towns and explore them briefly on foot before the next ship came along. 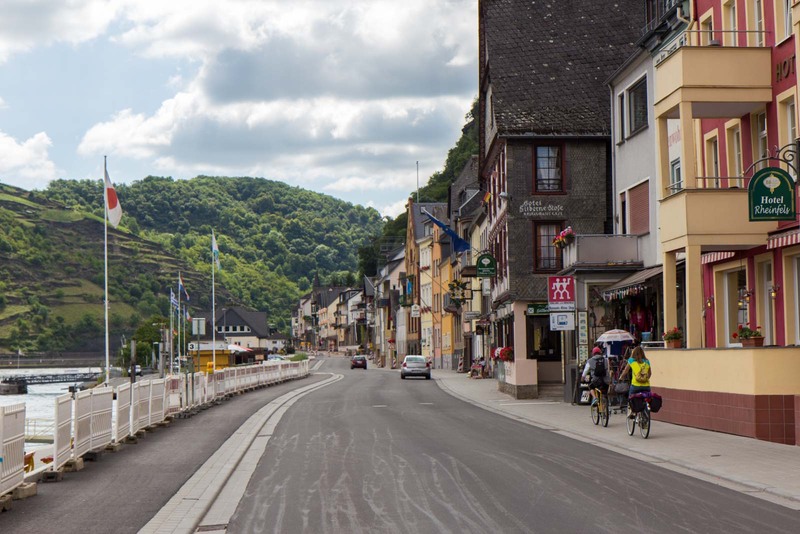 I started in Bacharach and finished at Koblenz, stopping at Sankt Goar for an hour along the way. 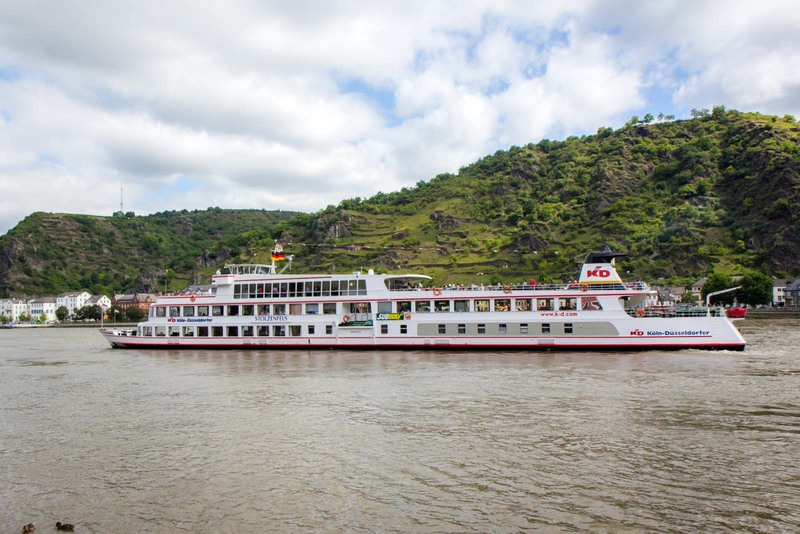 There is also the option to stay on the boat the whole way to Cologne. Although it is possible to travel to this area and just see it for the day, there is something a bit magical about spending a night in one of the towns and seeing the colours change with the sunset and sunrise. There are lovely little restaurants and bars with views across the valley that add more to the experience than simply passing through for the day by boat. It is worth the time to see this gorgeous mix of nature and history. 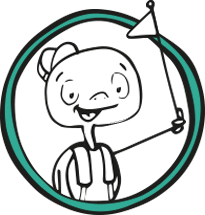 The KD ships have 5 or 6 departures each day in both directions of the river. Check the website for the exact times. The ticket I used between Bacharach and Koblenz with one stop along the way costs €36.40 for an adult. 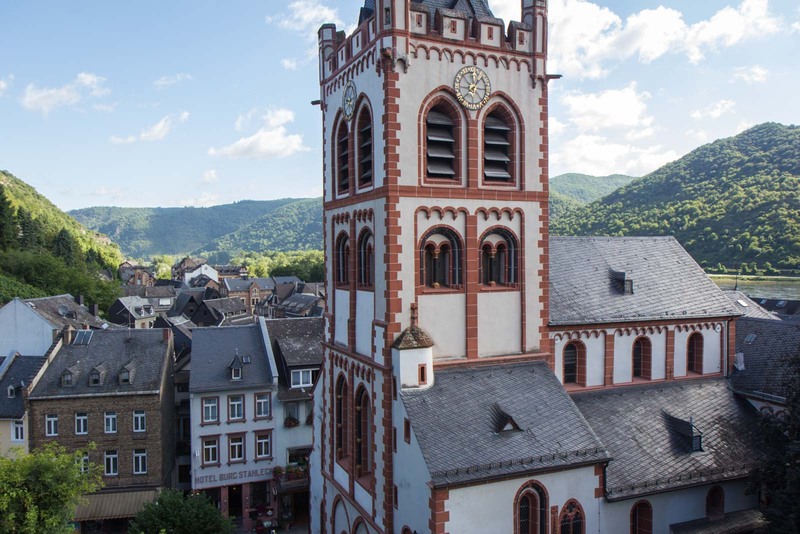 To get to the Bacharach or Koblenz, you can catch the train directly to the centre of town. 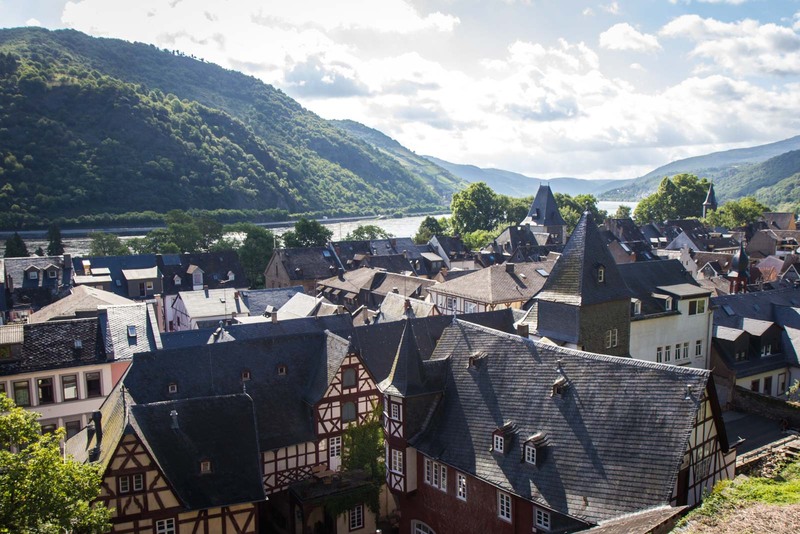 I stayed at the DJH Youth Hostel in Bacharach which is set in a beautiful old castle with stunning views across the valley and the river. Although it is popular just to cruise this section of the river, try to stop in a couple of the smaller towns to have a look around. Bacharach is a great option, for example. You can find out more information here about the KD cruise ships. 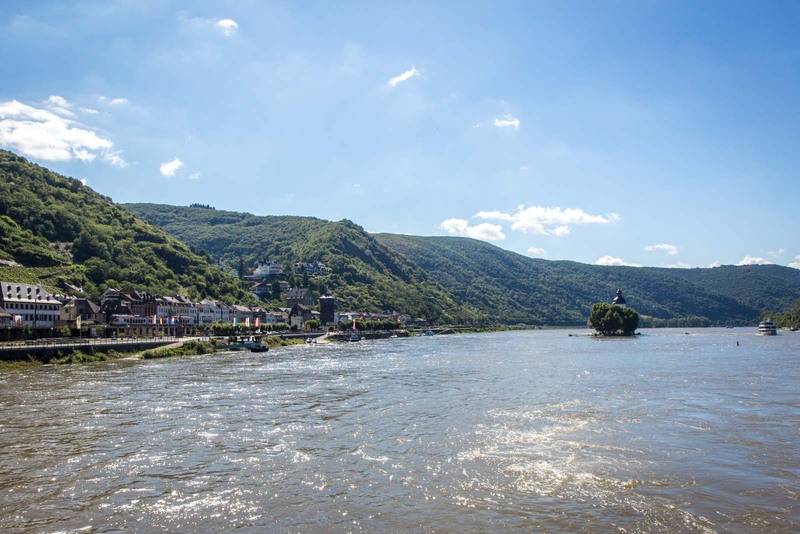 How weird – I spent a night in Sankt Goar in December! Before I went, I mentioned it to loads of Germans and no one had even heard of it! I’d recommend it though. That stretch of river is astoundingly beautiful. Oh, it’s so beautiful, isn’t it? 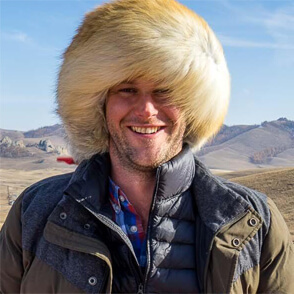 That’s great you got to see a bit of it. I wonder whether Germans travel there much themselves? I get the feeling there are a lot of foreign tourists who see it because their river cruises take them down that way. I usually visit Italy for summer holidays, but I visit Germany as well if I want to see some great and old castles. In Germany I like the towns located on the west side and for technology reunions I usually travel to Berlin to meet my colleagues. Germany is great for castles and it has some really spectacular ones. 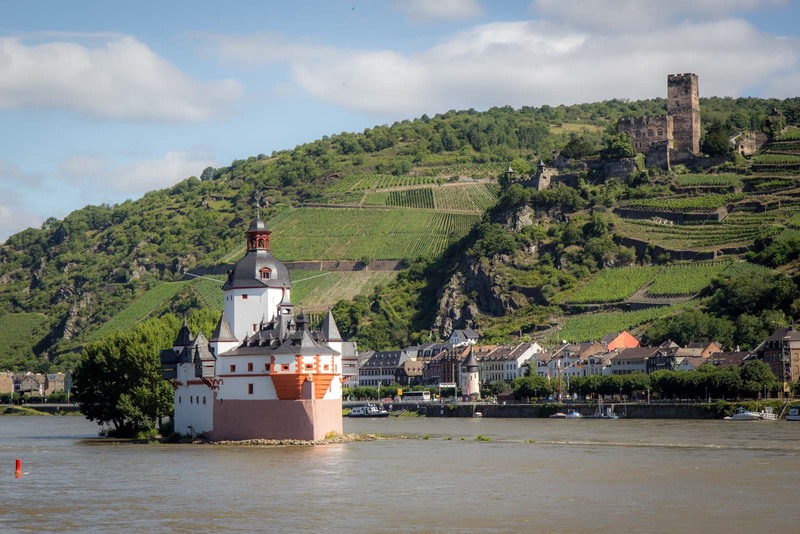 These castles along the Rhine aren’t quite as large and grand as the ones in the south of the country, but you can’t go past the setting!! I have never visited Germany. Now I NEED to do so. 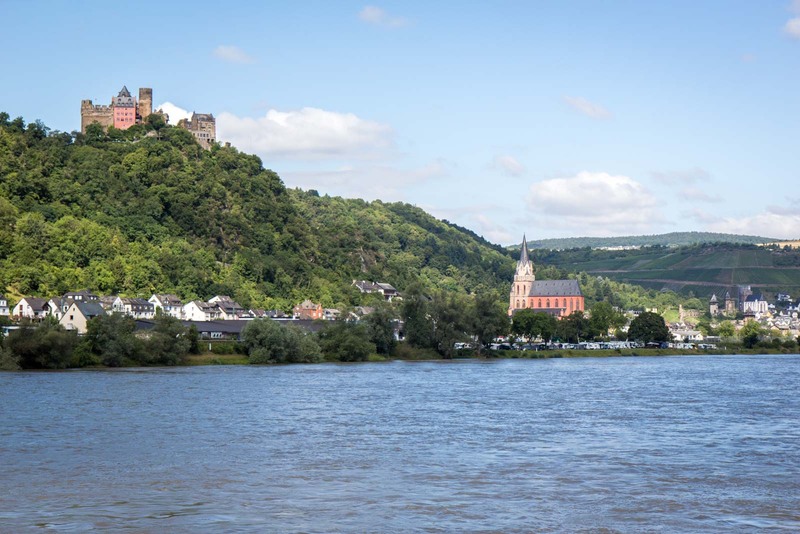 Many years ago I backpacked along the Moselle River then up the Rhine from Heidelberg. It was an amazing experience. Thanks for surfacing some wonderful memories. My pleasure – I’m pleased to be able to bring back some of your favourite travel memories. I bet it hasn’t changed too much… which is one of the lovely things about the region! That shot beside the waters is simply breathtaking. It is like you’re docking in an unknown town in a video game. A lot of the towns were unknown to me – I still don’t know their names. But that doesn’t take away from their beauty, of course!